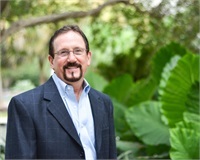 As the President/CEO of Resource Consulting Group, Inc., David has spent the last 26 years building a competent and caring team of professional advisors who share his passion to help clients finish well in life through wise, creative and flexible planning. David realizes that many Americans find money issues complex and confusing, so his heart's desire is to empower people with the clarity and confidence needed for making important financial decisions throughout one's lifetime. Based upon his strong belief that both emotions and relationships play critical roles in prudent money decisions, David has created a holistic, values-based team culture that promotes a deep understanding of what each client is seeking to accomplish. Resource Consulting Group, Inc., located in northwest Austin, is a Texas-registered independent investment advisory firm. As the CEO, David continues to expand the vision for the firm to serve the changing needs of RCGs clients, while also executing a long-term succession plan to assure that the firm is well established for serving generations to come. Since 1992, David has maintained in good standing the CERTIFIED FINANCIAL PLANNER© professional designation. Additionally, David currently holds multiple securities registrations (Series 24, 7, 51, 63 & 65) and is a Registered Principal with FSC Securities Corporation (a registered broker/dealer, member FINRA/SIPC). Through his independent affiliation with FSC Securities Corporation, David provides fee-based asset management services, as well as other quality investment alternatives, for clients in many states. He is also licensed in the state of Texas to offer life, disability, long-term care insurance and variable annuities as deemed appropriate. David and his wife, Denise, for 36 years have two adult children, Paul and Amanda. David is an active member of Hill Country Bible Church Northwest Lakeline campus, where he has contributed significantly to the HCBC Stewardship and Financial Leaders Ministries. As his way to give back to the community, David periodically offers free financial coaching to families in financial distress, as well as encouraging generosity among those who are financially blessed. He also serves as a mentor to young businessmen on how to conduct business based upon Biblical principles. Personally, David is an avid UT sports fan and enjoys reading, golfing, lake activities and supporting charitable causes that address social justice. David strongly believes that the healthy balance he pursues for his own life, coupled with his concern for others, is what makes his professional commitment to guide his clients toward financial independence and good stewardship so fulfilling.